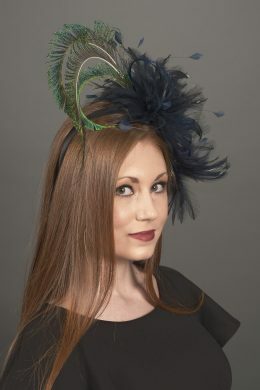 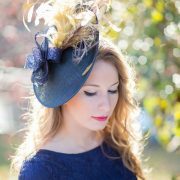 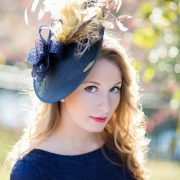 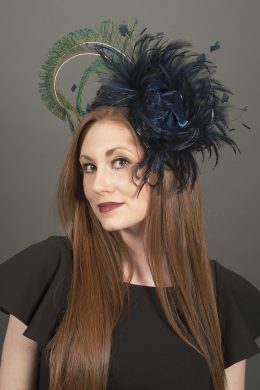 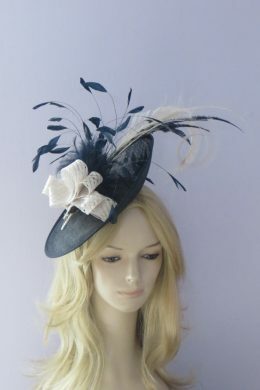 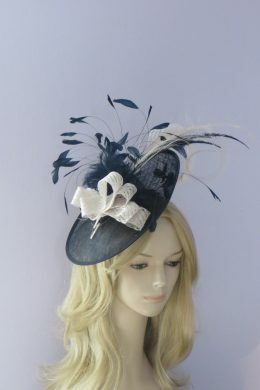 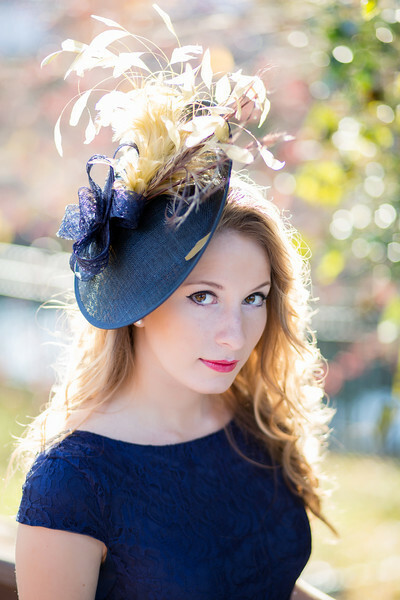 Foxhall, designed in the tradition of England’s Royal Ascot, is a navy sinamay saucer hat ornamented with a delectable array of warm taupe feathers which includes a brace of curled pheasant plumes — all gathered in a crisp bow. 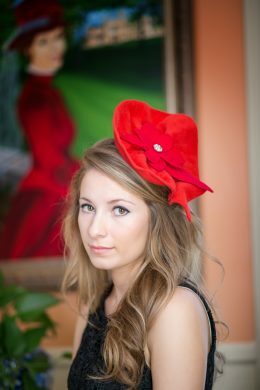 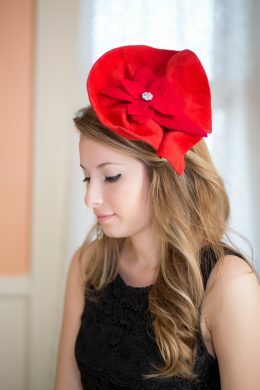 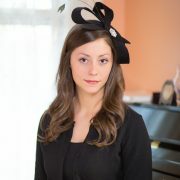 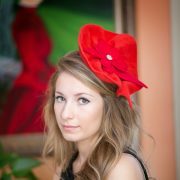 The saucer hat is held at a fetching angle by a navy silk headband. 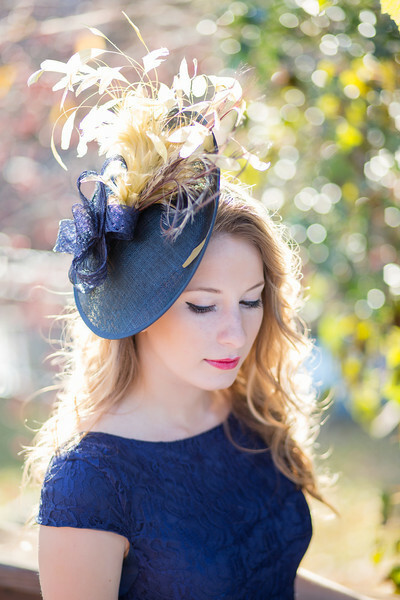 Easy to wear and hard to forget, Foxhall manages to be both quite proper and a little quirky.